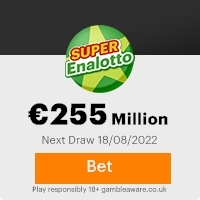 online number # 9863128, was awarded the sum of 420,260 euros. Equivalent in USD$(605,783.07). Six Hundred and Five Thousand,Seven Hundred and Eighty-Three Dollars and Seven Cents, to be paid in Cash. internet ballot system from 40,000 individuals and companies E-mail addresses. will be able to translate this mail in several other languages. Previous: YOUR AWARD WINNING NOTICE! !Fresh ScamsNext: WINNING NOTICE.. This Email with the Subject "Re: Winning Award Notification" was received in one of Scamdex's honeypot email accounts on Fri, 18 Jan 2008 10:14:37 -0800 and has been classified as a Generic Scam Email. The sender shows as national lottery <lotteryn61@yahoo.com>, although that address was probably spoofed. We recommend that you do not attempt to contact any persons or organizations referenced in this email, as you may expose yourself to scammers and, at the very least, you will be added to their email address lists for spam purposes.